Finding a new, beautiful event venue in Dallas for your cocktail hour or networking event just got easier. 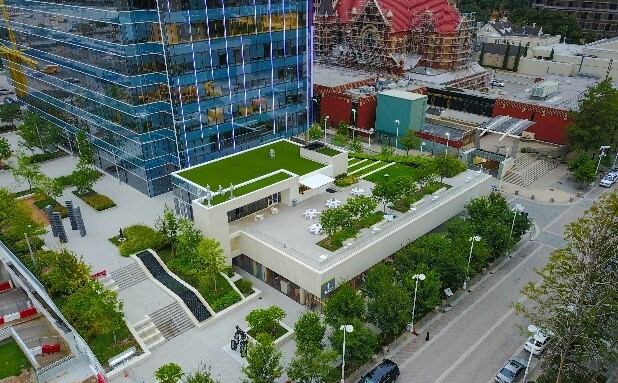 The ARTISAN Terrace is the Dallas Arts District’s newest destination for incredible craft cocktails and stylish event space. The ARTISAN Terrace is an excellent venue for all kinds of events! 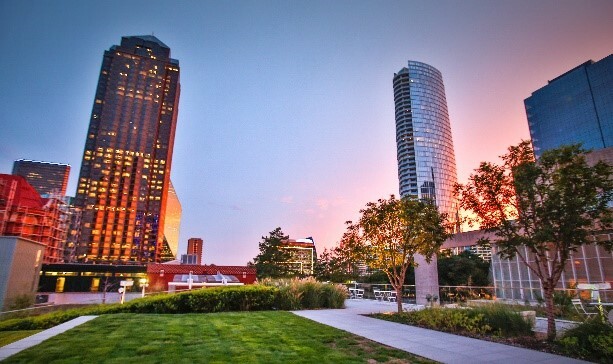 As the gorgeous fall weather makes its way to the Dallas area, it’s the perfect time to impress guests when you gather for a cocktail hour or a networking event at this beautiful, upscale event venue in the heart of downtown Dallas. A successful cocktail hour/networking event requires great drinks, delicious food and great conversation among your guests. The ARTISAN Terrace is equipt with a full bar built into the façade of the building. We can offer you a variety of beverage options for your group. In addition to our premium house wines, domestic and craft beers, our bar staff also creates amazing craft cocktails. The ARTISAN Martini muddles sweet delectable strawberries with a bit of piquant balsamic to perfectly spotlight the mixture of flavors. 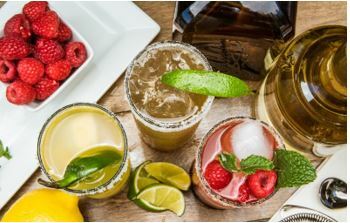 Whether your choice is a Texas Mule with jalapeno and cilantro or a Whiskey Thyme Lemonade the ARTISAN has the perfect cocktail for you and your guests. Our trained mixologists can also create a special signature drink specific to your occasion. Contact us for more information about specialty cocktails at your event. Serving a variety of hors-d’oeuvres is the best food option for a networking event. This gives guests the ability to move around, meet new people and chat. 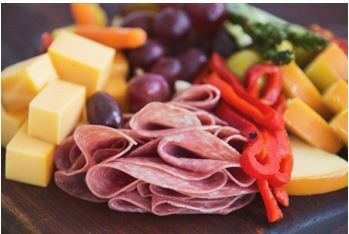 Some of our favorites are: the ARTISAN Flatbread made with Dallas Mozzarella Co. Smoked Mozzarella, Italian Sausage, Roasted Red Pepper and Arugula, Dallas Mac & Cheese Muffins, Fried Green Beans and an ARTISAN Nosh made with a weekly selection of Cured Meats, Texas Cheeses, Olives and Grapes. Contact us for more information about building a menu for your event. This Dallas Arts District restaurant and Terrace Bar is not your typical event venue. Every networking event needs an avenue to make guests comfortable and induce communication. Provide a myriad of talking points by using a venue equipt with interesting sights, sounds and tastes. Your guests will enjoy The ARTISAN Terrace’s many focal points and conversation starters as their eyes take in the beautiful views of the Dallas Arts District. 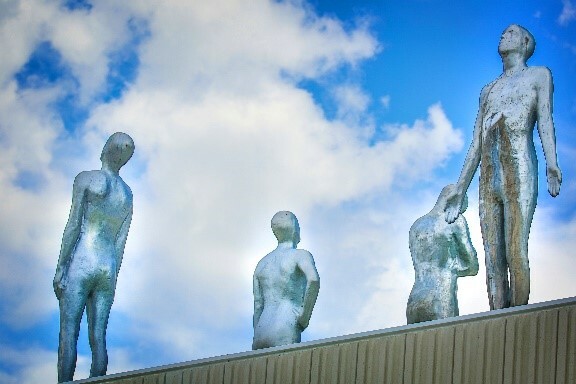 We recommend taking a stroll through the Texas Sculpture Walk on your way in – These unique works of art surrounding the ARTISAN are instagramable delights. Debate the unique humanoid sculptures that cover the outdoor wall (human or alien?) and use one as a photo backdrop. Sit and enjoy a quiet moment on the Green Steps. Conversations will start themselves as your guests take in the atmosphere of the ARTISAN Terrace. Create a more relaxed atmosphere by having games like Giant Jenga, Corn Hole, LifeSize Connect Four or Virtual Golf available for guests to play! The ARTISAN Terrace can accommodate 300 guests reception-style – perfect for large or small cocktail hours and networking events! Our seasoned event professionals will concentrate on all the details so you can focus on your guests.